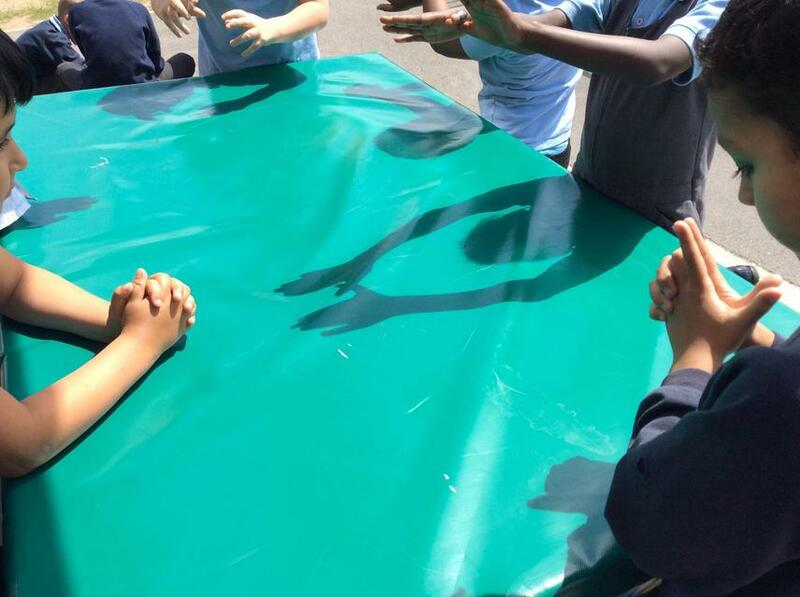 We decided to make our very own 'Shadow Puppet Theatre'. 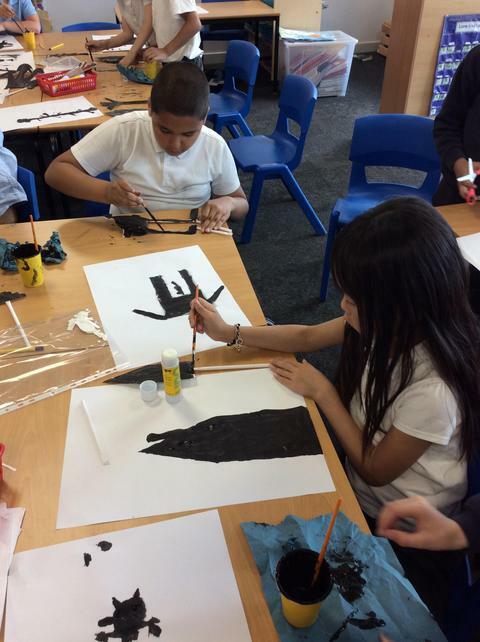 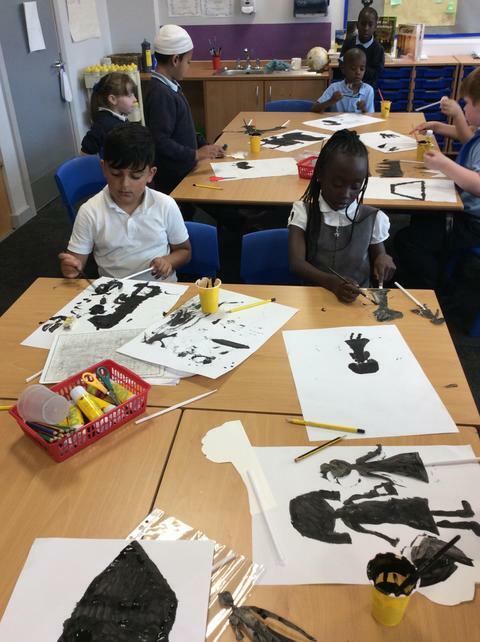 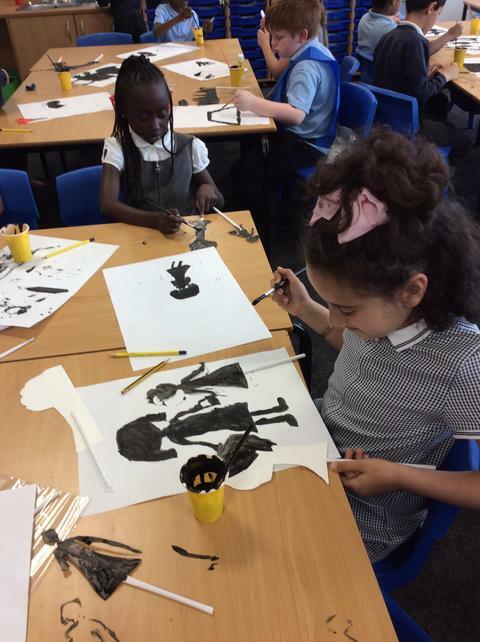 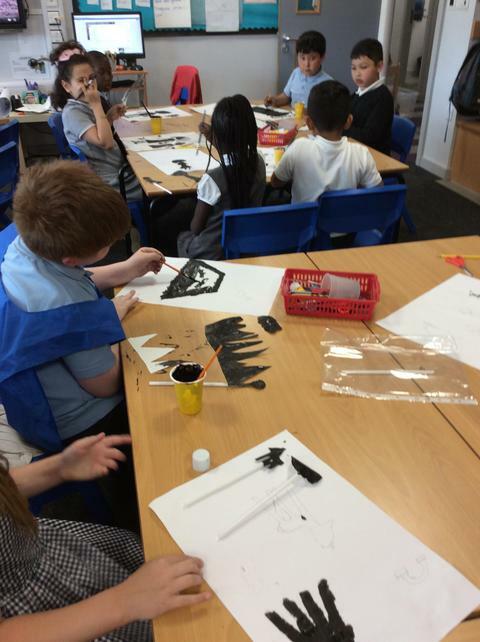 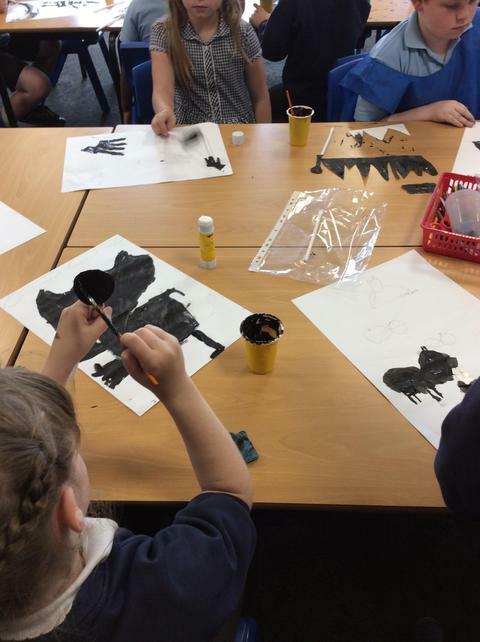 We drew our characters and then painted them to make silhouettes. 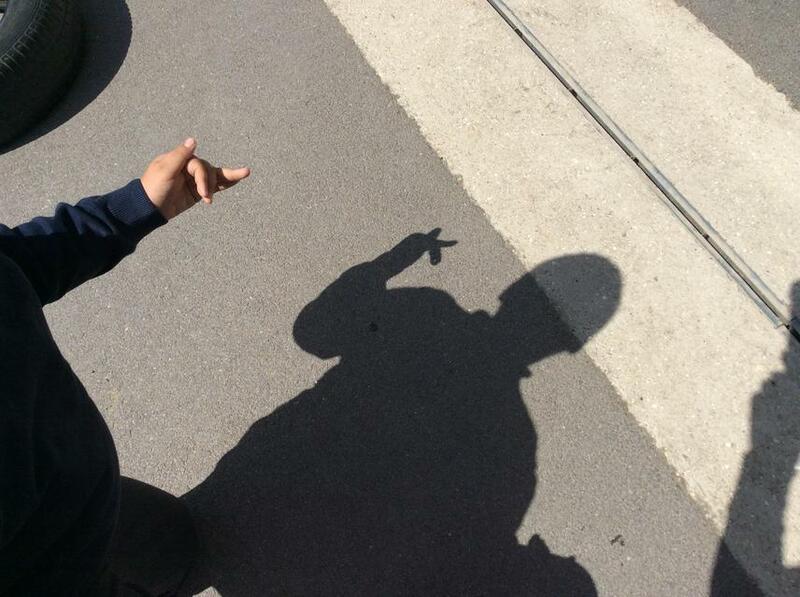 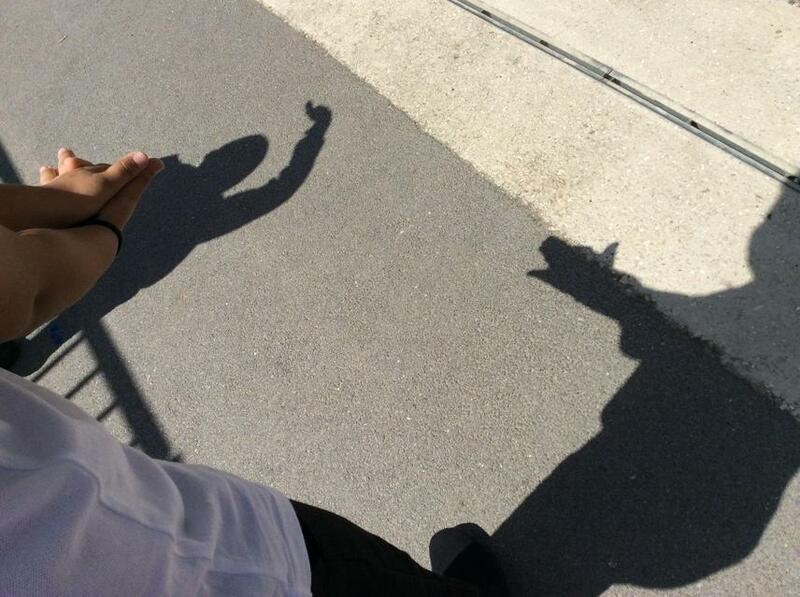 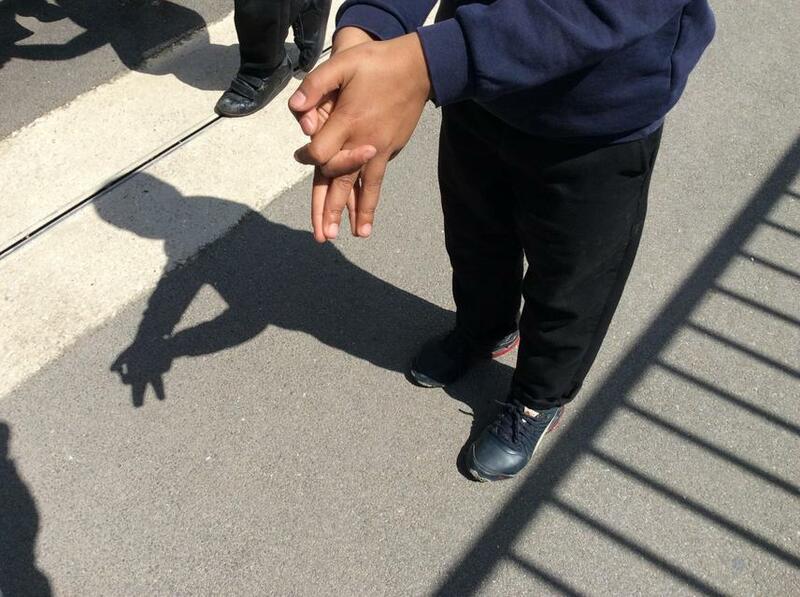 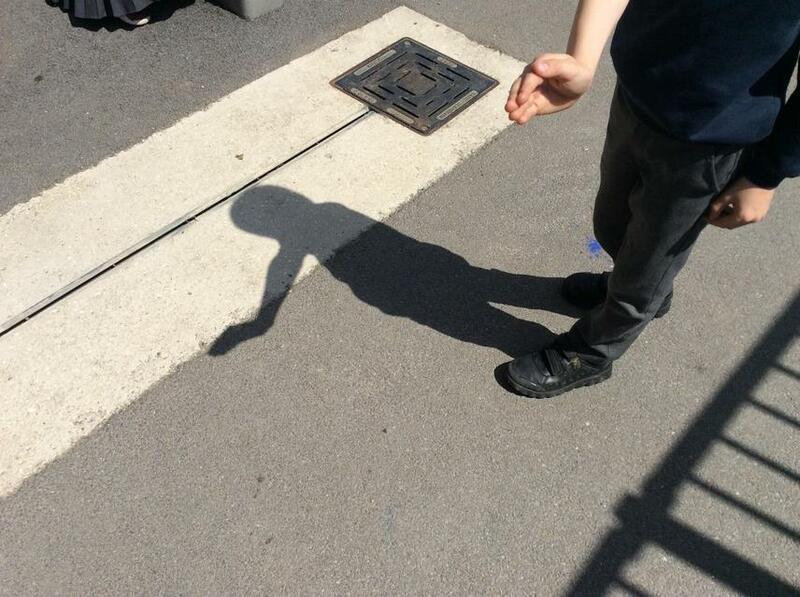 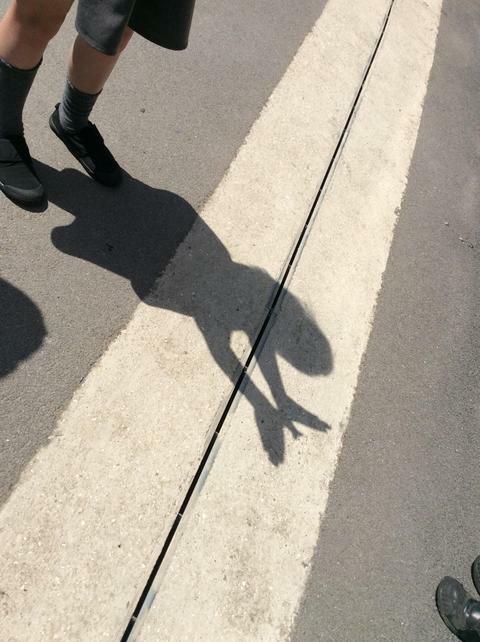 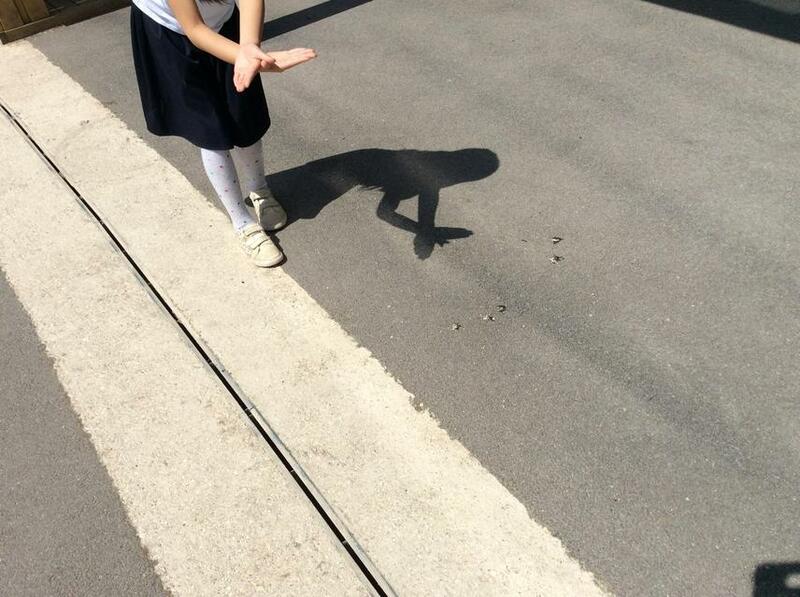 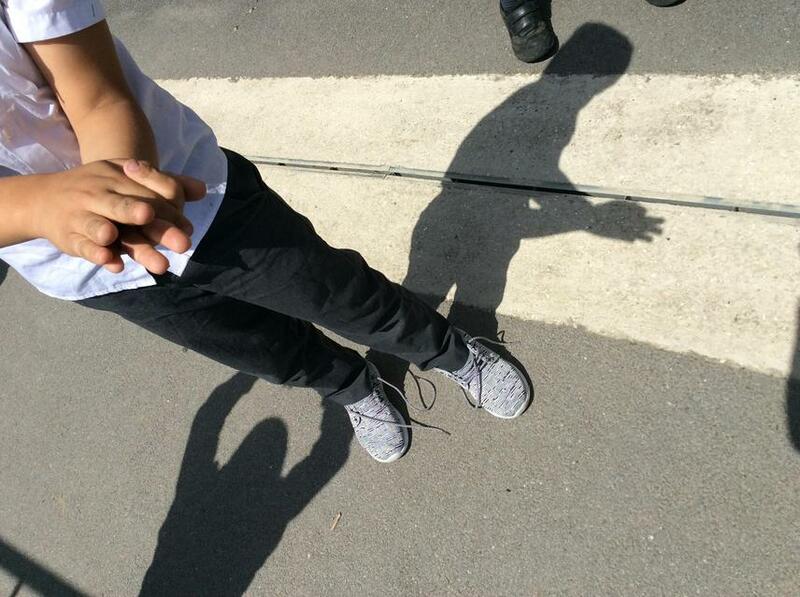 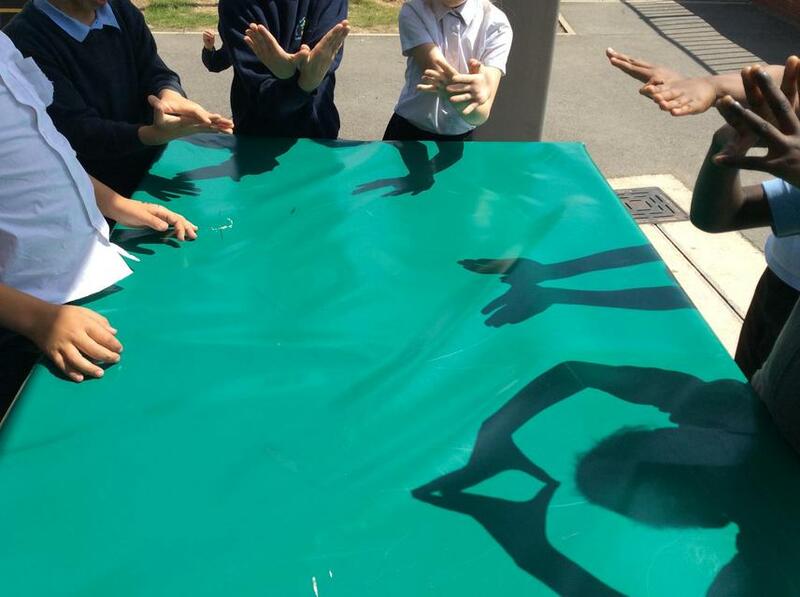 We have been looking at how to make shadows using our hands. 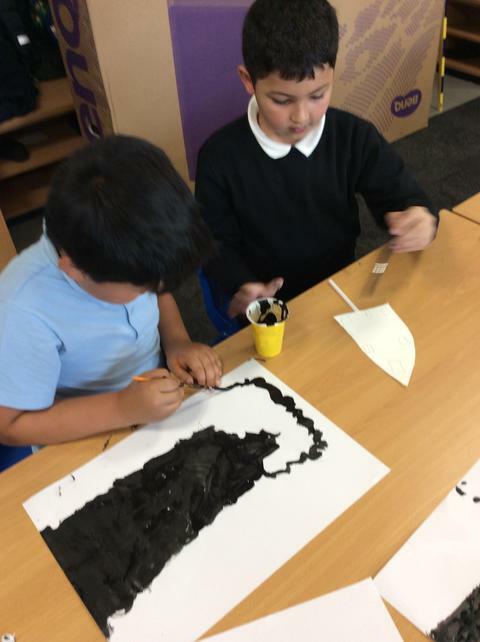 We made some interesting shapes. 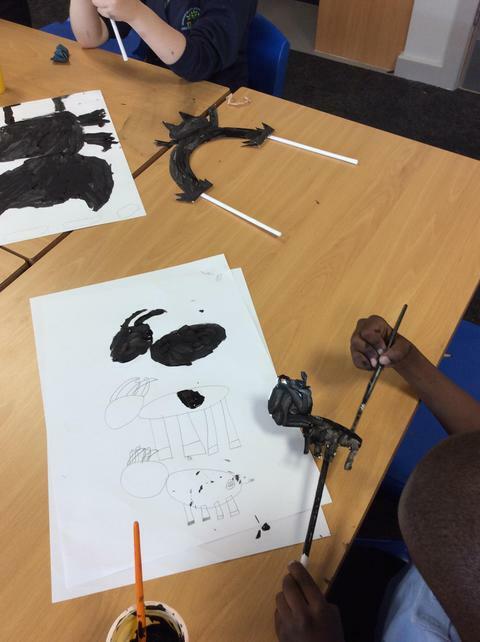 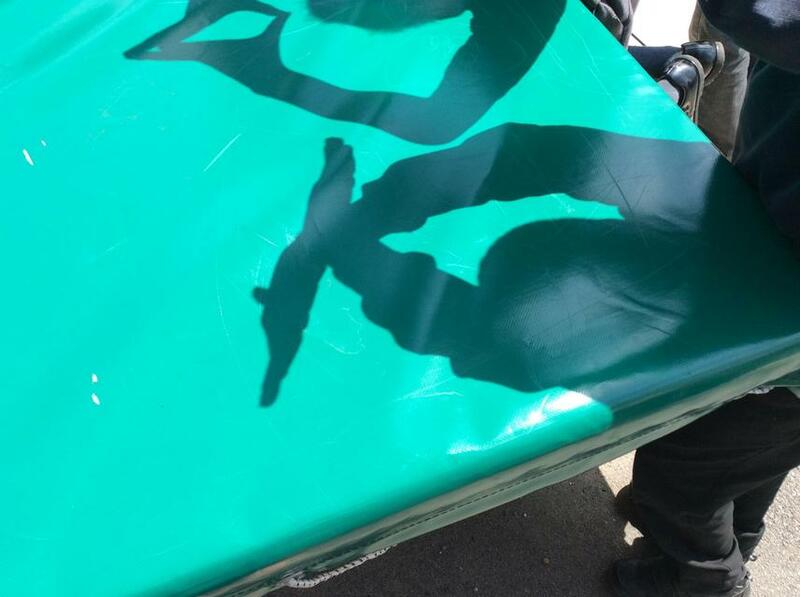 Can you guess what they are?